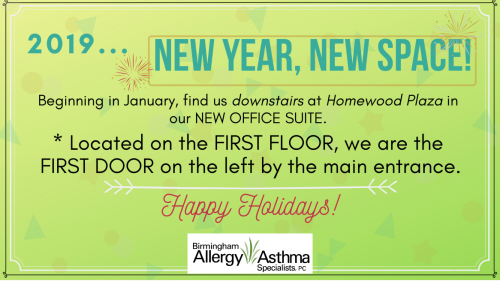 tree | Birmingham Allergy & Asthma Specialists, P.C. Home » Posts Tagged "tree"
The first freezes of the year herald the end of pollen season–congratulations, you made it! But Fall and Winter come with their own sources of allergy and asthma triggers. Now the things to look out for are mold, dust, Aunt Martha’s fruitcake, and holiday-associated culprits. See below for details.